Saving for retirement has become synonymous with an almost paradoxical sentiment in today’s day and age. Through no fault of their own, the average individual is either oblivious to how much they will need when the time comes, or has already grossly underestimated what they will need to retire comfortably. The good news is that it’s never too late to start saving for retirement, but there is a significant caveat: The sooner you start, the better off you will be when the day you quit working draws closer. That’s right; it’s never too late to start, but the sooner you set a plan in motion the better off you will be. That said, I maintain that a well-devised passive income portfolio is the answer to all of the questions regarding retirement. In the right hands, a passive income portfolio can make saving for retirement a reality, and not just something for the exorbitantly wealthy. However, it’s not enough to simply run a few rental properties; You need to mind your due diligence, determine what lifestyle you want to maintain and mold your exit strategy around the goals you set for yourself. Passive income is entirely capable of providing financial freedom, which begs the question: how much money do you need to consider yourself financially free? 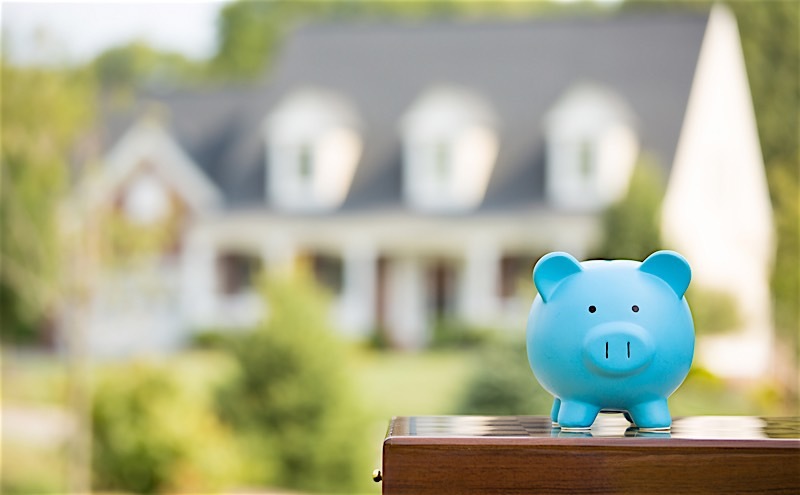 Those that have a taste for the finer things in life have acknowledged that they would need somewhere in the neighborhood of $2.5 million to retire if they expect to maintain their current lifestyle, or at least that’s what respondents told asset manager Legg Mason as recently as 2015. It’s worth noting, however, that the individuals surveyed are the exception, and not the rule. As it turns out, the majority of workers are convinced that they need much less to retire comfortably. In fact, a recent survey conducted by the Employee Benefits Research Institute found that nearly 70% of respondents are comfortable with the idea of saving less than $1 million by the time they retire to maintain their current lifestyle — and 20% didn’t see the need to save even $500,000. Truth be told, everyone’s real estate exit strategies aren’t set in stone, but rather contingent on the lifestyle they hope to realize. It’s entirely possible to retire with less money in your bank account if you are comfortable with the life it will provide. On the other hand, the more money you have at the time you plan on leaving the work force, the better. The key is to land on a number that you are comfortable with. Surprisingly, the math regarding your particular retirement number isn’t as difficult to formulate as you may have initially thought. In fact, I can assure you it’s relatively easy to come up with a number you would need to hit to retire comfortably; that is if you currently have an idea of how much you spend now. That’s right, the best place to start is where you currently stand. Use your current income as a benchmark for what you hope to achieve by the time you retire. Use your current financial situation to determine where you want to be in the future. It’s not uncommon for financial advisors to recommend an 80% replacement benchmark. Perhaps even more specifically, however, Fidelity Investments suggests workers aim to save at least eight times their ending salary by retirement. So if you are comfortable with where you are at now, it’s safe to assume 80% of your current salary will get you through retirement. Some would argue, however, that how much you have saved up for retirement isn’t as important as your spending habits. I maintain that you need to account for every variable — not just income or expenditures, but rather income and expenditures. It’s worth noting that the size of your bank account can be measured in more ways than one, however. While traditional sentiment suggests building up a large financial nest egg, nobody ever said that egg couldn’t take the form of a passive income real estate portfolio. In fact, I am convinced that a passive income portfolio is the best option awarded to people saving for retirement. With the right assets in place, financial freedom is just around the corner. Let’s say an investor is currently comfortable making somewhere in the neighborhood of $100,000 a year. That means they would need approximately $80,000 a year in retirement to maintain their current lifestyle — according to the 80% rule financial analysts use today. The latest data from ApartmentList suggests that the national median rent price for your standard 2-bedroom apartment is $1,280. At that rate, a passive income portfolio hopping to realize $80,000 a year would need between five and six properties. I am aware that prices will vary dramatically from city to city, and that sometimes you may only need a few properties in the right city to meet my criteria, but the national average is a safe starting point. Be sure to adjust your numbers for the city you intend to rent in. With six properties, each bringing in an average of $1,280 every four weeks, an investor stands to make $7,680 every month. Over the course of a year, those numbers extrapolate out to $92,160. Of course there are additional variables that need to be accounted for, like property management and maintenance costs, but those things can easily be offset by adding more properties to your respective portfolio; just one of the many reasons a sound passive income portfolio makes saving for retirement a reality for many. It’s worth noting, however, that passive income has one distinct advantage over a large nest egg: While your bank account may not have as many zeros in it, the assets you are drawing from are not limited in the amount of income they can produce. Over the course of saving for retirement, a standard savings account will dry up, whereas a passive income portfolio will replicate the lifestyle you desire without tapping out.